The Audi A4 was for many years the smallest line of cars Audi sold in the U.S. Today, the A4 is effectively a mid-sized car. 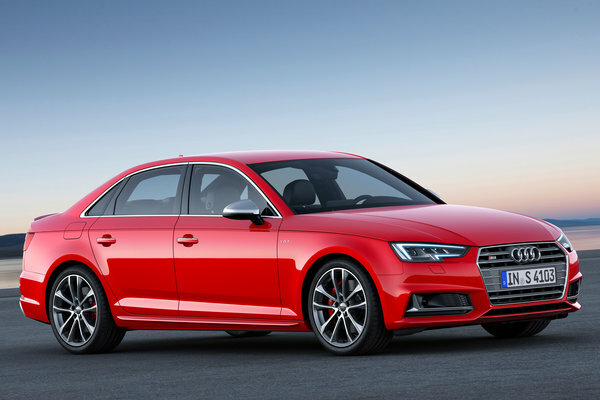 Redesigned for 2017, the A4 sedan is offered exclusively in 2017 with a 252-bhp four-cylinder turbocharged engine mated to either a 6-speed manual (AWD only) or 7-speed dual clutch transmission (FWD or AWD). The A4 includes a healthy list of standard equipment. Pricing starts in the mid-$30,000 range. S4 models return for 2018. The 3.0L V6 in the S4 has been reengineered. Power is up 21-bhp and torque increases by 44 lb-ft.